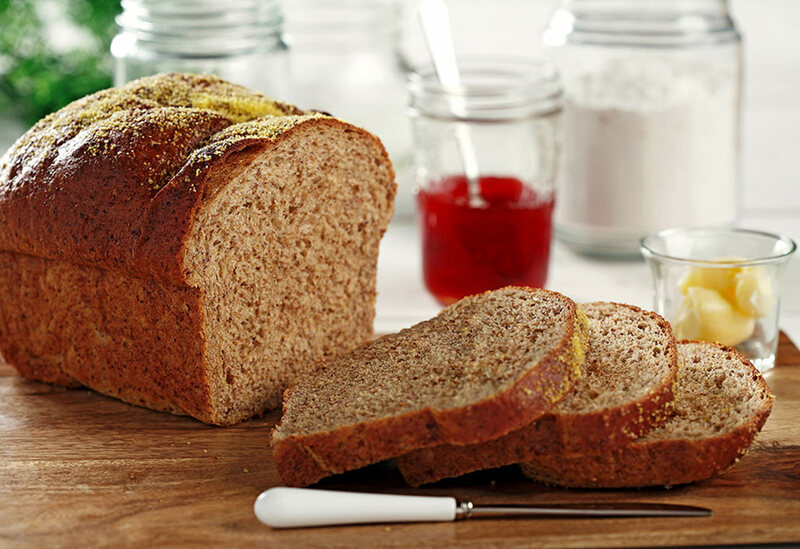 Quick and easy bread-making without having to wait for several risings of the dough. 1. Thoroughly oil 18 muffin pan cups. 2. In large mixing bowl, combine yeast, salt whole wheat flour, basil, oregano and tarragon. Mix to combine ingredients. 3. In second bowl, whisk together honey, canola oil, milk and water. Add to dry ingredients along with chopped green onion and beat slowly to combine ingredients. 4. While beating, add all-purpose flour to make soft dough. If dough is sticky, add more all-purpose flour to get the right consistency. Continue to beat slowly or knead by hand for 5 to 6 minutes. Cover dough and allow to rest for 10 minutes. 5. Divide dough into 18 equal size pieces. Form into balls and place into prepared muffin cups. 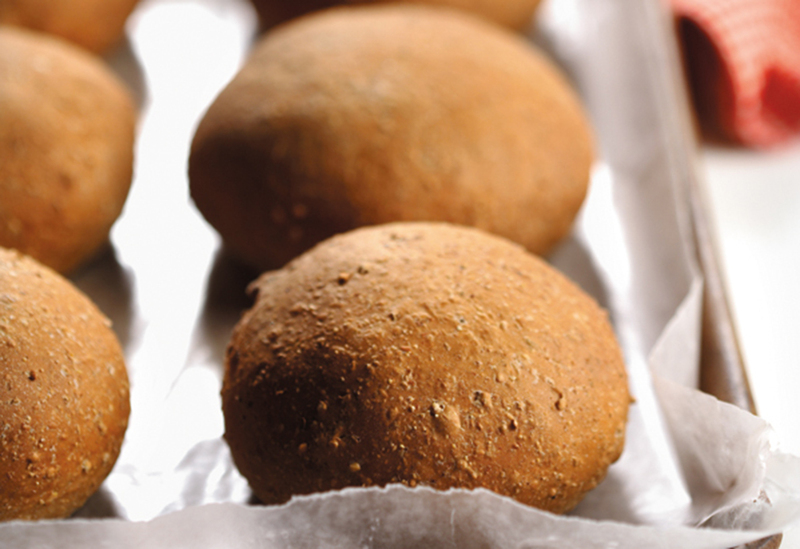 Cover with clean cloth and allow rolls to rise in warm place for 25 minutes or until rolls have doubled in size. 6. Bake at 375°F (190°C) for 18-20 minutes or until rolls sound hollow when lightly tapped. Remove rolls from pan and cool on wire rack. Aunty Mary's buns received Honourable Mention for the Be a Star! Be a Winner! with Canola Oil Paralympics Recipe Contest. 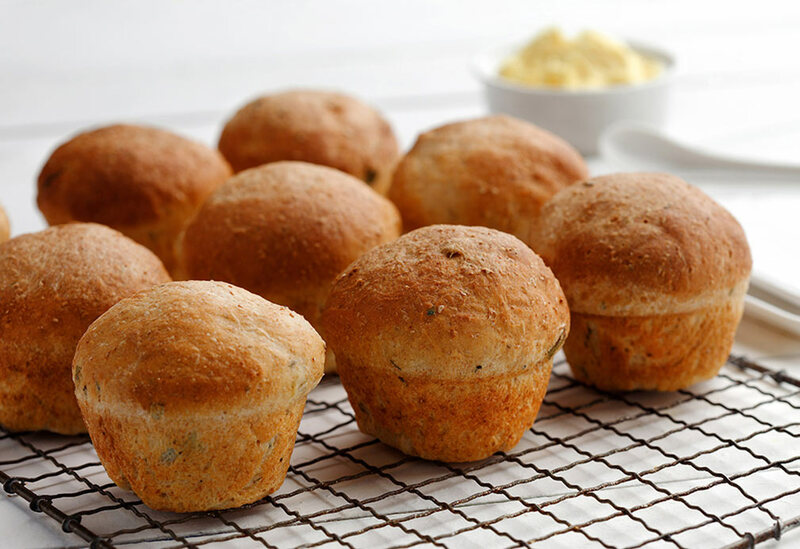 Baking with canola oil can reduce your saturated fat intake. 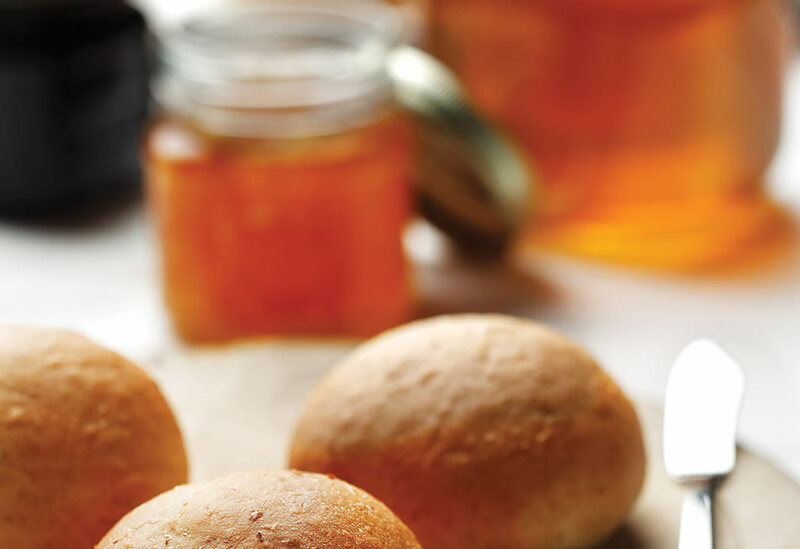 Check out the baking section of the recipe section of our website to learn how to convert your solid baking recipes to canola oil. Flax meal can either be purchased vacuum packed from a health food store or you can grind flax seeds in a coffee grinder for immediate use. Grind only what you will use because it goes rancid quickly.